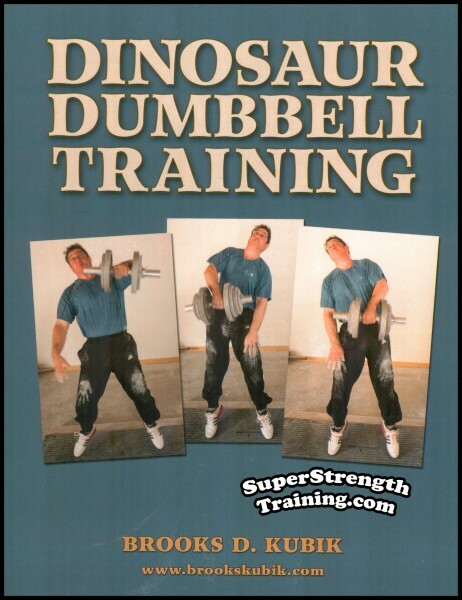 Back in print! 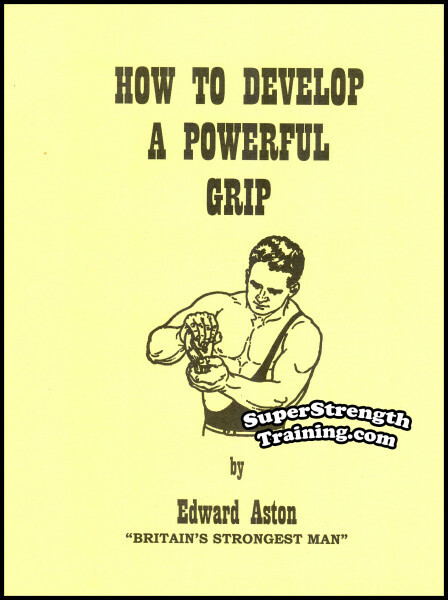 For now at least the best book on the training methods of the old-time strongmen that I’ve seen. 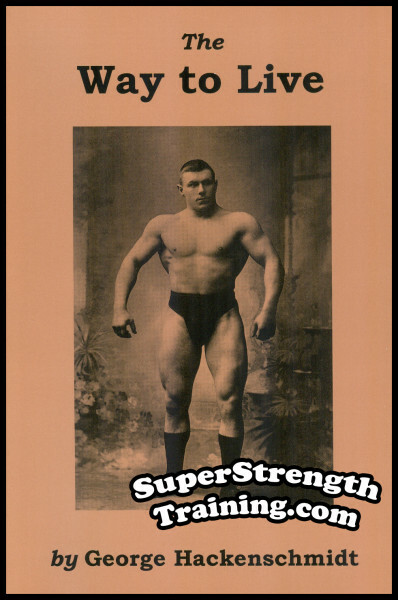 Opening this book of 1910 gives you the feeling you’ve opened the training manual of strongmen of yore. 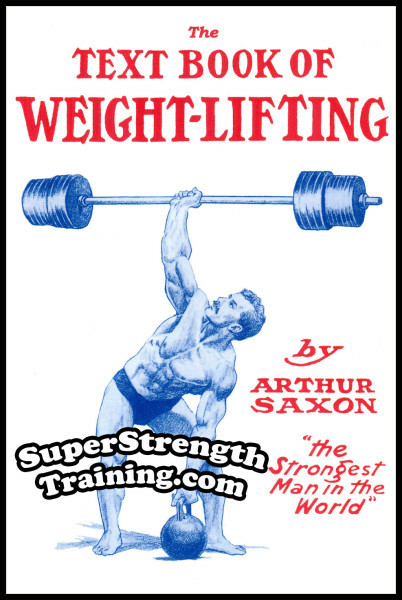 It’s filled with rare never before published photos of the great Arthur Saxon, world famous professional strongman and circus performer billed as, The Strongest Man on Earth! 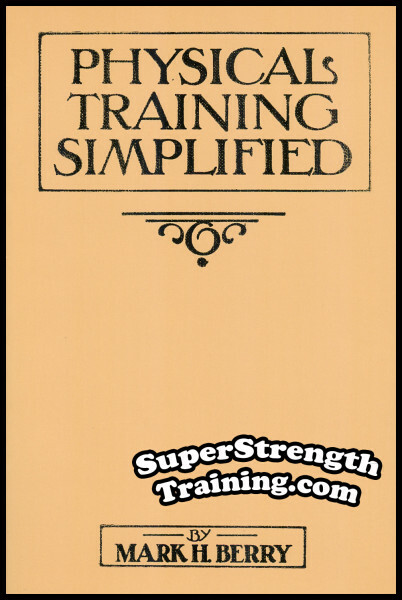 It’s just the right mix of rare nostalgic photos and practical training information. 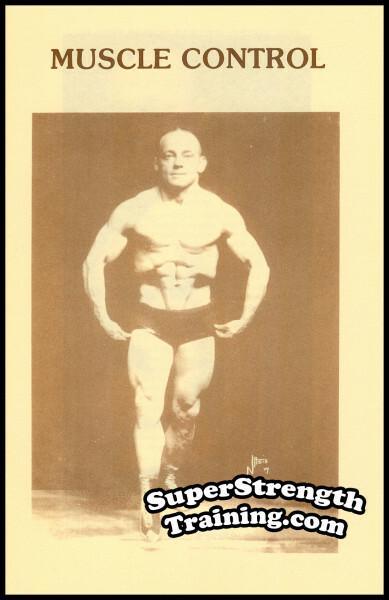 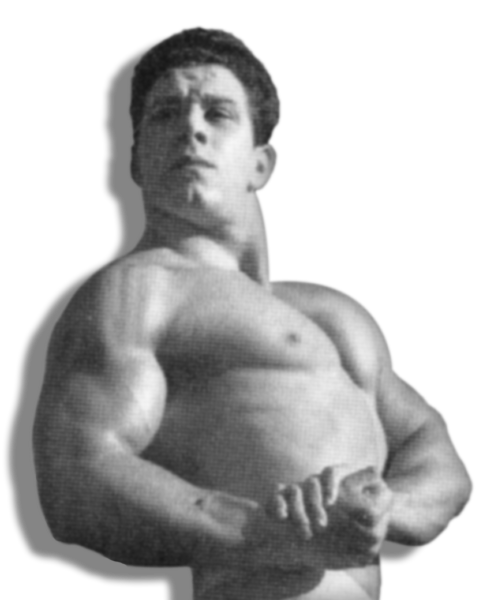 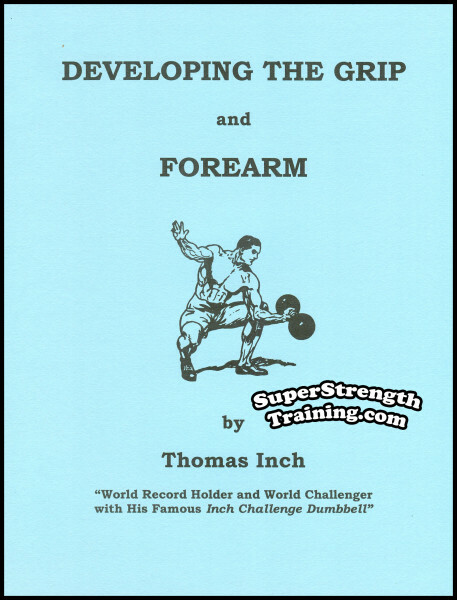 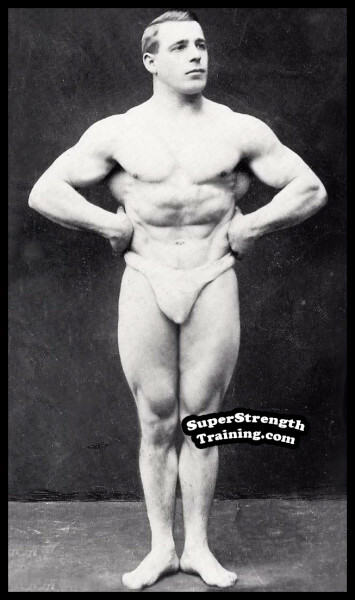 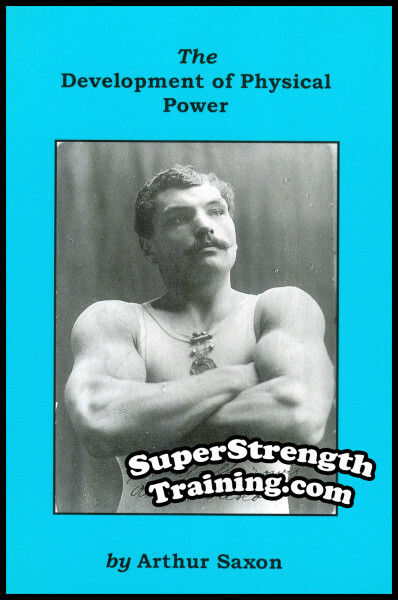 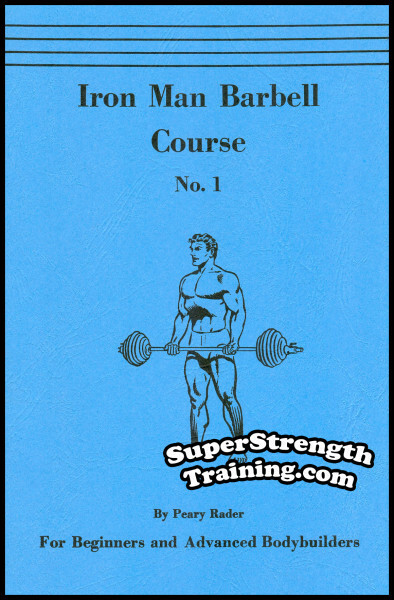 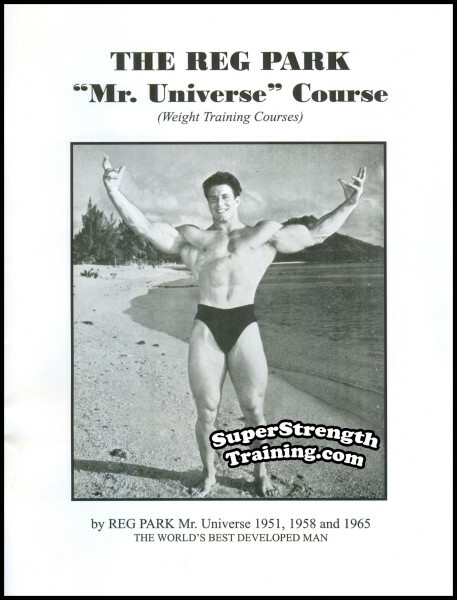 One of the very few books describing in detail the training methods of the old-time strongmen of the day, before vitamins, steroids or plastic surgery! 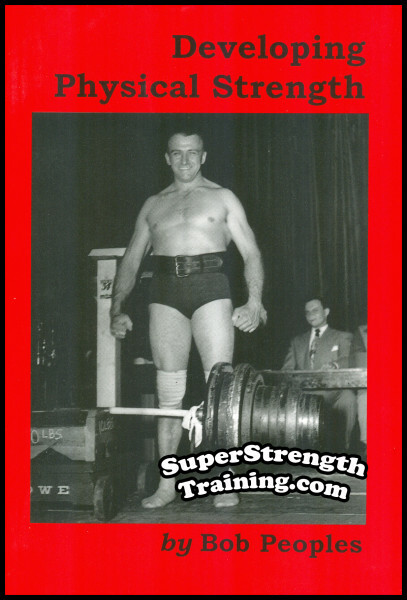 This IS a Classic Book, especially for someone who loves to read about real old-time strongmen and HOW they trained. 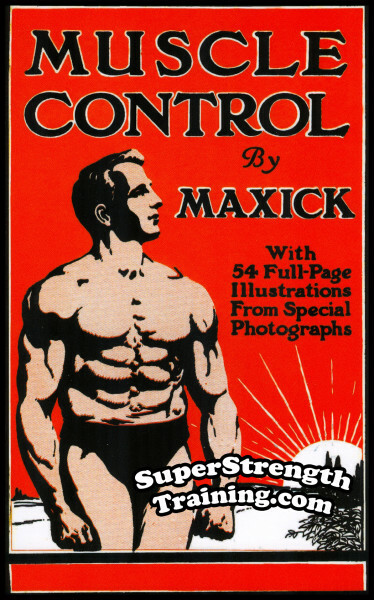 Highly recommended, you’ll really like this beautiful 5 x 7 softcover book with 85 pages, 7 chapters, 30 photos and beautiful artwork and a glossy two-color cover. 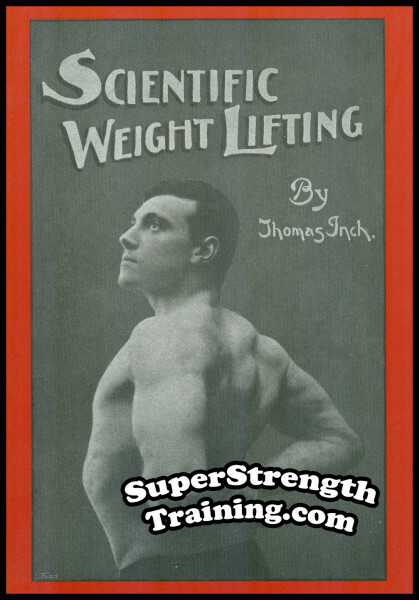 Order a copy today!